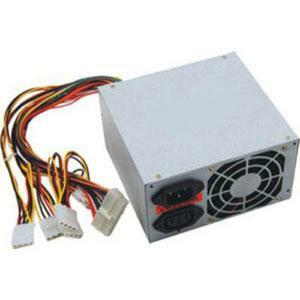 A Power Supply Unit (PSU) or SMPS is one of the most important unit of your computer. All other components of your computer depends on it. A good PSU means healthy or good performance of your system. Here are some important things that you should always keep in mind when buying a Computer PSU / SMPS (Switch-mode Power Supply) for your computer. This is most basic thing you should look for when getting a new SMPS. Do not go for local brands for SMPS as they can make you pay by causing damage to your important components like motherboard, processor and graphics card in your PC. These local branded SMPS are mostly china made and do not supply proper current and voltages to your components. Their stickers might say 500 watts but in reality they do not have capacity of even 250 Watts. So the main point is that go for Established Brands which are known to produce high quality products like Antec, Cooler Master, Corsair, Tagan, VIP etc. Every SMPS unit has a table printed on them that shows the voltages and current for different rails in the SMPS. Here look for the 12 Volt column and see the current under it. Make sure it has at least 32 Amperes of current listed under it. For dual 12Volt rails, each rail should have at least 18 Amperes of current under them. 12 Volt rail is the most important unit in the Power Supply of your computer, it is responsible for supplying current to the major components of your PC that includes Processor, Motherboard, Graphics Card and others. A higher Wattage SMPS can sometimes have small current under 12 Volt rail, so first look for the 12 Volt rail current and then look for SMPS wattages. Cooling also forms the most important part in the SMPS. A better cooling will ensure proper functioning of the device under heavy load. A good SMPS must have big 120mm fan and more heat-sinks to provide proper cooling to the Power Supply Unit. You can check the weight of the SMPS by feeling it in your hand, heavier the SMPS better is the cooling as it will have more heat-sinks installed in it. I am having a desktop with below config bought in Mar 2012. 4) CORI Cabinet with built-in SMPS. In the past few months , My PC is getting shutdown abruptly in the mid. When i am starting it again , CPU echoing around 4 beep sounds with a warning “Processor Thermal Trip” . Then after some time , It is getting shutdown again. When I googled around my issue , I come to know that , recent days processors and boards are coming up sensors to avoid getting affected/defected due to overheat. Thats why an shutdown has been initiated. Based on few case studies posted in some forums , i noted that SMPS could be the culprit here.So I am planning to replace my existing PSU ( which comes built-in with Cabinet) to give a try. Could you kindly suggest me this will solve my issue and suggest me good SMPS based on my spec above? Can you please tell me which company SMPS do you have? Also tell me its Wattage and current(A) on 12V rail. Is it necessary to go for good brands as recommended by you like VIP, Corair, Antec or cheap brands like Xtech, Zebronics, iBall are good enough?? I also checked the power supply calculator and the max is not going beyond 200 Watts. Yes it is a necessary requirement to go for a good branded smps. A branded smps can handle load easily, keep your computer safe if you are running it non stop and also supply the necessary power or current that are required by your computer components especially cpu, motherboard, hard disk and graphics card. I want to purchase SMPS for my system which is of Gigabyte and have core2duo with 2.93 gh processor and have also installed 1gb graphics card so which brand and of how much watt smps would i purchase please guide me..
a friend of mine bought a gaming cabinet that has power supply enclosure at the bottom…the problem is SPMS ATX12v connector cannot reach to motherboard,so is there are any smps/psu that has long cables or should we use extension cable for that ATX connector? which cabinet and smps is that? If it is unbranded then i would advise you to get Corsair VS450 SMPS. Also there are extensions available that can increase the length of your smps 12V ATX connector. i have a doubt regarding the voltages and etc. i have a msi rx 470 8gb gaming card with 8 pin connector. i calculated the power at 450w psu. can u specify the psu with 8-pin if they exist or how to use 6+2 pin versions. Rs.9500. best deal for me..